"A Conversation with James MacArthur"
James MacArthurs first motion picture, The Young Stranger, is now breaking attendance records throughout the nation. Greeted by rave reviews as the brightest new star on the horizon in the last decade, James MacArthur is adding lustre to a long familial tradition in the theatre. Yet he has done it on his own, in his own way, and with his own timing. With a striking and forceful personality, any conversation with him must immediately compel the impression that here is an individual ... a young man with strong ideas of where he is going, but with too much modesty to tell you ... a young man with an innate sense of justice and morality which is the underlying brilliance of his fascination as a person. 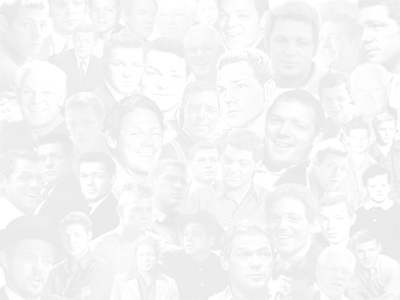 In the conversation that follows between Jim and our publisher, we bring you a precise and exact record of their conversation, so that you might judge for yourself, the sincerity, the straightforwardness, and the brilliance that is James MacArthur. Gary Filosa (our publisher): Jim, you have just made your first film which is quite successful. Yet we are impressed by the fact that you are a freshman at Harvard. What is the importance of education to you? Jim: I can best explain the importance of education to me by telling you why I am going to Harvard. I could possibly have a fairly successful career in the theatre at this time but I feel that I am not yet ready to take a place in society and hold my own. I still use the words grown up and I dont feel that I belong in that category yet. I do feel much closer all the time however. At Harvard I am taking many courses and although I may not enjoy all of them I know that I am acquiring something from each. They are good but I believe the most important thing is the life that one leads. Being thrown in with a lot of people, one must either get along or leave. I am not arguing for complete conformity. Education is a large word and book learning is only a small part of it. More than anything else of import is the desire to know. I would say that the difference between the educated and the uneducated is the desire to take advantage of the experience of life -- the difference between just floating around or swimming with direction. Education to me is what enables one to live in the security of his own doings. Gary: Tell us, Jim, how you look to your future? What is it you want? The possible alternatives? Jim: I am not completely sure, Gary. I used to think that big houses and money were the ideal things. As I grow older the notion passes as has the notion that marriage is a panacea. I suppose that success is what I want as does everyone else. More specifically, success in the theatre and success in business as I would like to be in both. I dont mean the type of business that requires going to the office every day, but investments for instance. Most important I want to be as free as possible to follow my interests which include archeology, reading and traveling. Gary: Tell me, Jim, can you think of any advantages of being a teenager today? Jim: Being a teenager today offers shelter and a certain place in society for a small time. One gets certain privileges and is expected to act accordingly. I never was called a teenager by my parents. Frankly being a teenager never bothered me. The main advantage of being a teenager is having someplace or something to be a part of. The main disadvantage is that you cant get out of the group. Thus the rebel and the non-conformist. However, I would say that most of us accept and enjoy this part of our lives. Some one once said that happiness was better to chase than to have. Perhaps being grown up is the same. Most of us being optimists, feel that something better is coming. Yet this is not always so. Was life better when you were young and had no responsibility or is it better now when you have to worry about flunking out of college? It is hard for one to become accustomed to the hardness of life. Gary: Is college drama important to the theatre? Jim: College drama is practice and experience for those concerned. I dont think that it has any special value. I mean, it is a good and important thing, but I cant think of any real special value in reference to the professional stage. Gary: Jim, do you see a trend in the theatre today in any particular direction? Jim: I think there is sort of a trend in the motion picture industry and the theatre. The pendulum is swinging away from the grandiose hambone fantasy to stark realism. An audience now wants to see everything exactly as it is. I think that the pendulum is now on the swing away from the actors studio type of thing. It will go to the middle area, its most natural state, where there is a variety of things accomplished and done. Gary: This is a natural question, Jim, the next one I have to ask and even though I personally know you have accomplished the beginnings of your theatrical career yourself, I know our readers might wonder what part your Mother, Helen Hayes, the first lady of the theatre, might have played in it? Jim: Certainly my family introduced me to the theatre. Of course they have had nothing to do with my getting parts, they could have had anything to do with it. I have never had any lesson from my Mother, or advice on how to play a part. They did teach me a lot (Charles MacArthur, Jims father, was a playwright of note. With Ben Hecht he collaborated on Twentieth Century and Front Page which were Broadway hits. With the fabulous Edward Sheldon, he wrote Lulu Belle, which was one of Broadways all-time great hits. By himself, Charles MacArthur penned Gentlemen of the Press and many, many memorable scripts.) about the theatre just through my life with them. They never pushed me in any direction. Any major decision has always been my own to make. Gary: Tell us what you think about the works of William Shakespeare, Jim. New Yorkers have been blessed with the productions of Don Goldmans Shakespearwrights for the last several seasons, and we wonder what you think about the Bard? Jim: He is not for an era, but for all time, is the best way of describing Shakespeare. For the young people of today he is somewhat difficult, but well worth the time spent. His plays pack a terrific wallop today just as they did when he first presented them. Gary: What is a teenager to you, Jim? Do you like the appellation? Jim: A teenager is between thirteen and seventeen years of age. It is hard for me to say much on this subject because I have always accepted the norm so long as it did not affect me. I do not like being categorized since I would rather be an individual. When I was at the age when you go to polite dances, et cetera, I withdrew a little because I do not like to conform to what people tell me to do. I would much rather conform on my own. In other words, I dislike being pushed in any direction and I think that this is natural with many persons. The word teenager is new and irking but not something that kills one. I think too many people try to make problems out of being a teenager. Being now nineteen and nearly not a teenager in the eyes of adults, my advice to younger kids is: enjoy it while you can, let your parents make a fuss as it gives them something to do. I dont mean to be cynical but kids must go halfway with their parents if the relationship is to be good. And some parents think they know it all which makes it doubly hard on the offspring because they have to always take advice given by their parents which is not applicable each and every time. Gary: What were your basic problems as a teenager, Jim, if any. Jim: I had to overcome the fact that I was young and not allowed to do certain things. This irked me to no end as my parents were always saying you are a big boy now. I thought that if I were such a big boy I should be allowed to do certain things. However, it was not a major problem and even a little funny in retrospect. I can not think of any major problem that I had to resolve with my parents. Gary: How do you spend your leisure time? Jim: The only hobby that I have is collecting records and I collect all different kinds. I have not had too much leisure time lately but when I do I will do something different every time. I enjoy reading and playing cards. Many times I will just sit over some drinks and talk with friends until it is quite late. Jim: I am too old and know a little too much to have any idols in the sense that I think you mean, Gary, however, I admire and respect some people and envy others. I envy people such as Bach and Rembrandt for the everlasting beauty they could create. I respect and admire the President and Winston Churchill for what they have done. I also respect many actors and actresses such as Laurence Olivier and Katharine Cornell. Gary: What of Jimmie Dean? Jim: I do not include James Dean because I have never seen any of his films, and I am not one to be carried away by a fad. I do not necessarily mean that Dean was a fad. Only the years tell true greatness. There are so many people I admire and respect but it would take too long to tell you. Jim: An extremely difficult question, Gary! I feel it is much like what my Father used to tell me, Dont do what I do, do what I say. I could write a lot of great standards for people to keep but would it be what I do? Life is a very complicated process and is changing all the time. In life there is no such thing as black and white. Everything is more complicated than that simplicity. There are of course, the usual things ... honesty, et cetera. I have found that the best rule to go by in every situation is the ancient Golden Rule. But how I would like to be seen by others might be a good way of demonstrating what I want for myself. Respect is of prime importance as is trust. I like to be reliable to others and of course liked! Gary: Jim, what about ultimate goals, where would you like to go, speaking figuratively? Jim: The ultimate goals in life are happiness and bringing someone into the world to be good and help the cause of the world. The way the world is now I dont think that I would want to be responsible for bringing another person into the world to suffer possibly. I am not equipped to answer this question completely right now. Next time perhaps.